Rather use abbreviations or a mixture of your children’s names to form the most creative names possible. For example “Joedan” (mixture of Joel and Daniel). If this screen above opens up it means that the ‘internet domain’ consisting of your Company Name is not available, which is a great start! 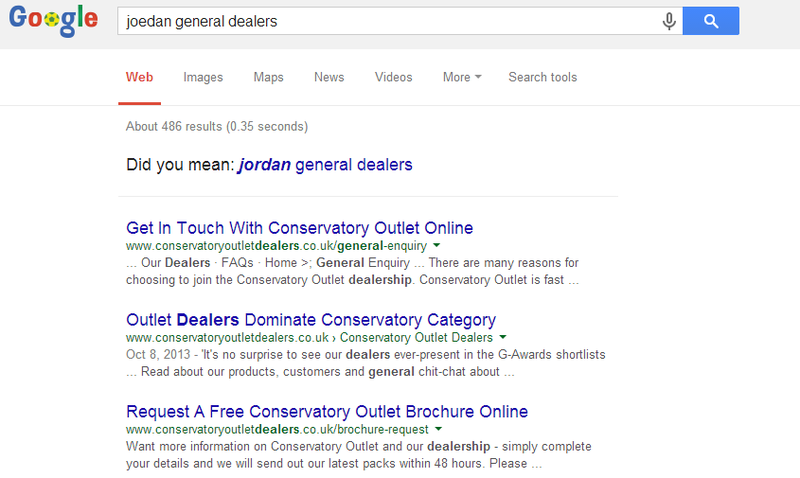 Also, search your Company Name in the search engine ‘Google’. If you get results such these below it is clear that your Company Name does not have a direct conflict. Although helpful, these three Steps does not guarantee that your Company Name is available on CIPC’s system. It just betters your Company’s chances. Our consultants are trained in the Name Search function. When you apply to register your company we do an in-depth search to ensure your Company Name is available. If it is not, we will help you to make adjustments to ensure your Company Name Reservation is successful. If you are ready to start, apply to register a new Company online.